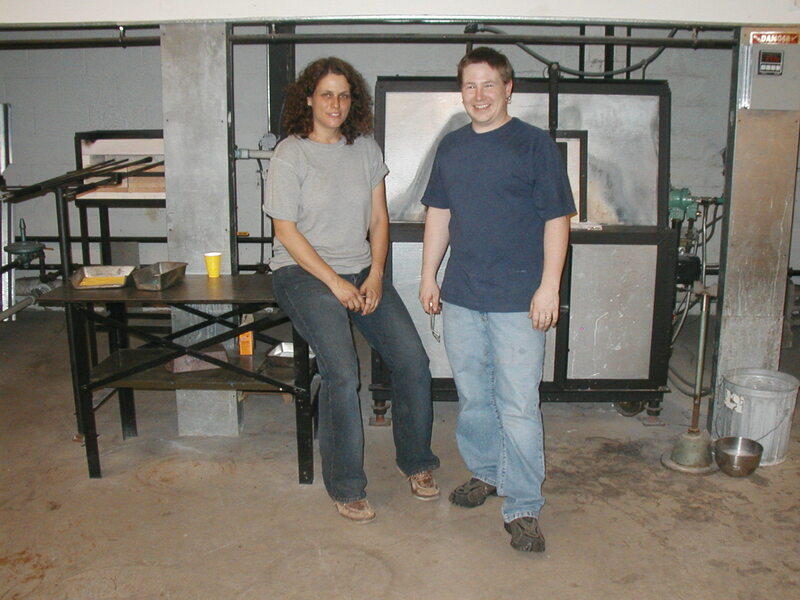 More Fire Glass Studio is a 4,000 square foot facility that provides studio space to glass artists. The spacious and quiet, newly renovated, hot shop includes a 250 pound crucible furnace, one 18" glory hole and one 12" glory hole, and both front-loading and top-loading annealers. Qualified glassblowers can rent the hot shop at the day rate (6 hours) of $150 (12" glory hole), or $200 (18" glory hole). Unlike many hot shops, More Fire also includes fully equipped flameworking facility, including nine torch stations. Torch rental is available for $12 per hour.